Kayla Koether grew up on the Koether family farm near McGregor, Iowa, where she developed her love for raising livestock and was involved in all aspects of farm management. 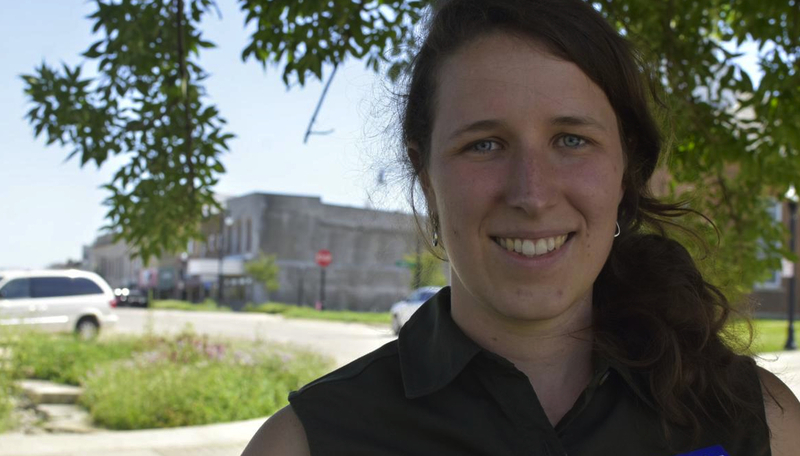 A resident of Winneshiek County, Kayla currently is a specialist at Iowa State University Extension and Outreach providing technical assistance to businesses and beginning farmers on best business practices, sustainability, production, marketing and innovation. Kayla studied international agricultural and rural development at Iowa’s Grinnell College. Dedicated to staying in Iowa, Kayla worked as AmeriCorps educator for Northeast Iowa Food and Fitness Initiative teaching children in Clayton County schools where food comes from and how to live healthier lives. Before taking her current position at Iowa State, she was in program management for Winneshiek Energy District, an organization helping homeowners, small businesses and farmers save money through energy efficiency and investments in renewable energy. Kayla and her high school sweetheart, Landon Corlett, are working toward their goal of operating their own livestock farm in Northeast Iowa. Vote for Kayla! To support her campaign, please donate and get involved. Why so few candidates in Iowa? There were some great candidates we endorsed in the Iowa primaries who unfortunately lost their races. And, we’re sure we missed some. If we did, please send us an email at info[at]citizensregenerationlobby.org.